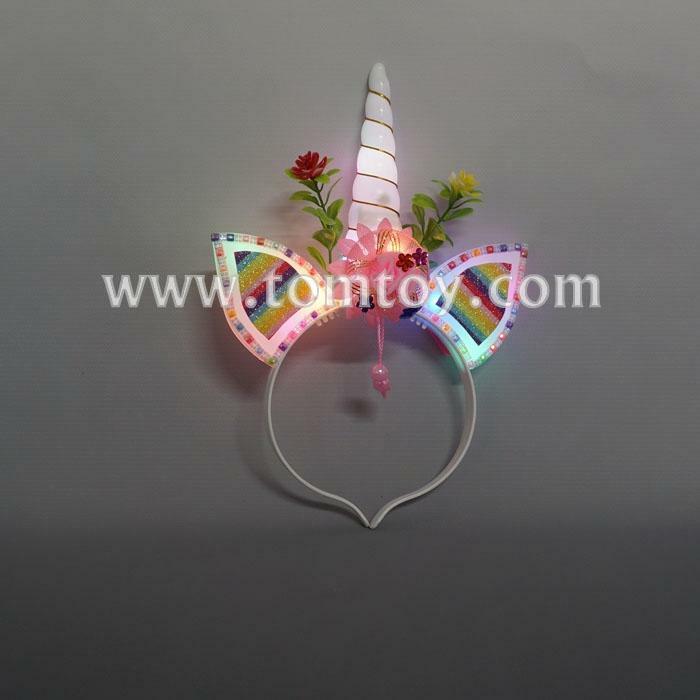 1.LED Unicorn headband is absolutely perfect gift for Unicorn Theme parties and many occasions. 2.Come with 3 pink 2 blue 2 green and 3 yellow led light inside the ears and the horn. 3.Easy to use,press the switch behind the ear,it starts flashing,there are 3 flash modes for you choose. 4.Three pieces AG13 batteries are included and installed.